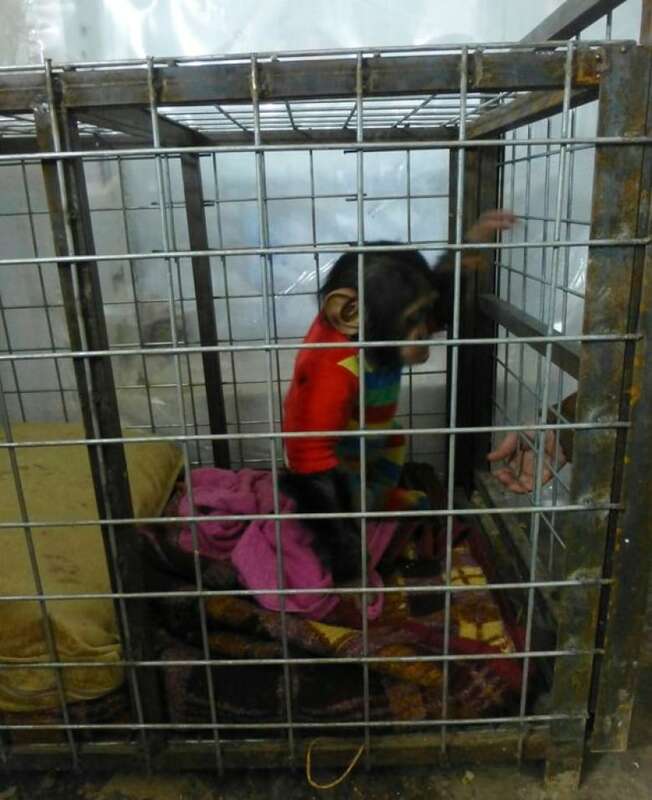 "I couldn't leave him behind," says a man from Sherwood Park, Alta., who is attempting to rescue an infant chimp named Manno this week from a zoo in Iraqi Kurdistan. How the bonds of friendship led to a 3-year struggle to free a baby chimp. As the battle to free Mosul from ISIS rages on, a rescue of a very different kind is about to be staged nearby — one involving a bond between a Canadian and a four-year-old chimpanzee named Manno. Manno has spent most of his infancy at the Duhok Zoo in Iraqi Kurdistan. But if all goes according to plan, he will soon return to the African savannah to live out his days at a sanctuary grooming, breeding and playing with other rescued chimps. Spencer Sekyer had no intention of freeing an ape when he left for Iraq three years ago to do volunteer work with a local veterinarian. 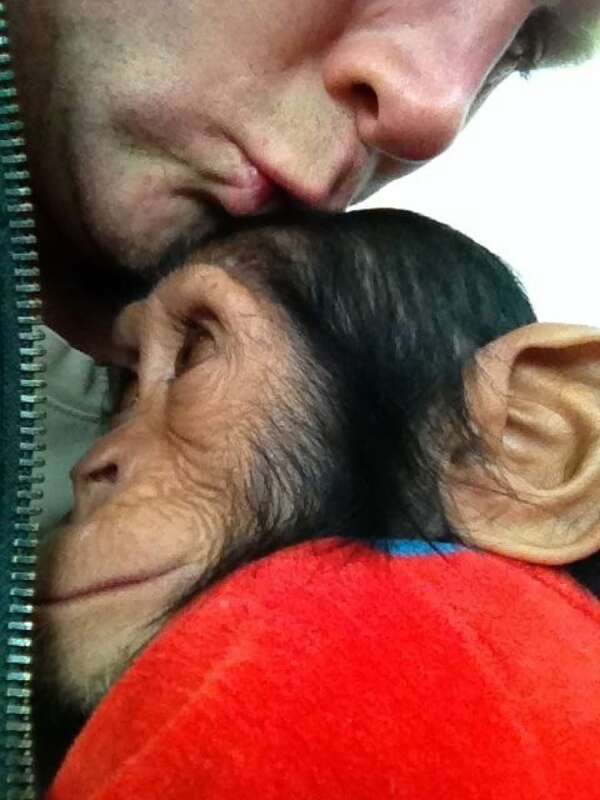 The Sherwood Park, Alta., high school teacher soon found himself caring for a one-year-old chimp each morning at the Duhok Zoo. 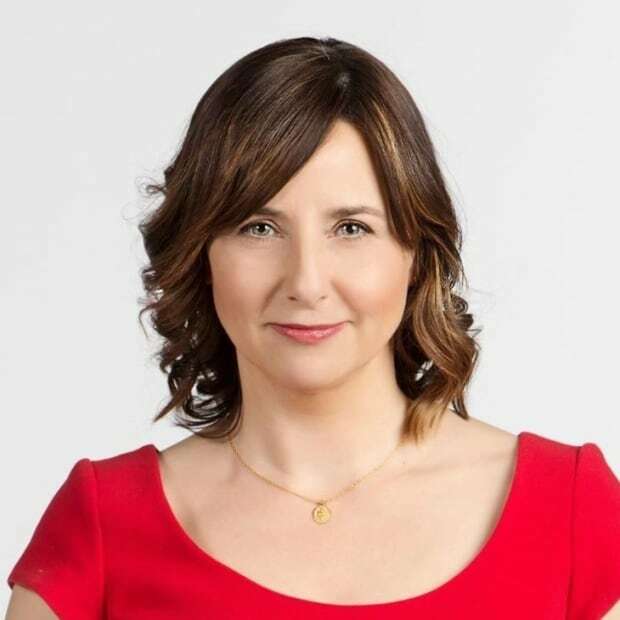 "I'd show up and he'd just come barrelling over to me, and jump all over me and fall asleep in my arms," said Sekyer in an exclusive interview with CBC News. He described the bond that grew between them as similar to one with a child. "I mean, love is love is love." Manno, who was less than a year old at the time, loved eating sunflower seeds stolen from the confectionary, cuddling and climbing. "But like children, he can throw his tantrums and he can be a brat," said Sekyer with a chuckle. "And when he doesn't want to do something, he bites, and scratches and screams, and unlike a child, he's a little bit more difficult to discipline." 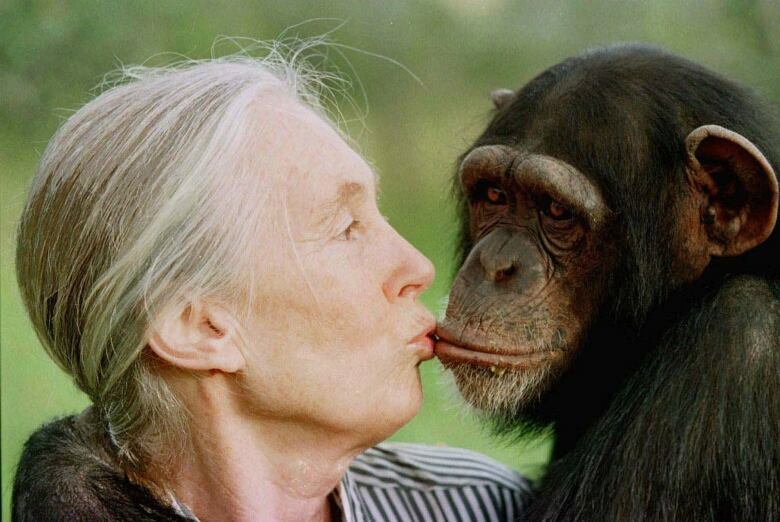 According to the Jane Goodall Institute, chimps and humans are so closely related that our DNA differ by less than two per cent. And just like humans, infant chimps need their mothers for constant reassurance, affection and nursing. They also sleep together in nests for the first five years. Manno only experienced that mother-childhood bond briefly. He was abducted from his family within the first six months of his life, his family likely slaughtered for bushmeat. Animals Lebanon, a wildlife rescue group, believes Manno was born in central Africa at the beginning of 2013 and trafficked to the Middle East that same summer. At the zoo, Sekyer said candid conversations with the zookeeper about routes and prices led him to believe he had stumbled upon an animal smuggling ring. Back at his hotel, Sekyer sent out a flurry of emails to notify Interpol, the U.S. State Department and the FBI, but soon focused his efforts on Manno. Sekyer said Manno is generally loved and well cared for at the zoo, but his living conditions are precarious. Visitors taunt the chimp, sometimes trying to make him smoke cigarettes. When it was time to return to his pen, the size of a large bird cage, Manno would shriek and cling tightly to Sekyer. At night, he slept in a cage stacked on top of a crate of boa constrictors — something that terrified him, said Sekyer. While he believes Manno should be in his natural habitat, socializing with other chimps, it was his future that worried Sekyer most. "He's adorable and cute, and he snuggles," said Sekyer. "But he's going to become older, more aggressive, and so his options are not going to be good. "He's either going to be in a small abandoned cage for the rest of his life, or they'll sell him to the highest bidder or there's going to be a significant incident at the zoo." Sekyer recalled an incident at Lola Ya Bonobo in the Democratic Republic of Congo the day he arrived in 2011. It involved two guards who had raised a group of bonobo chimps being released into the wild. The chimps "ripped their faces off," said Sekyer about the guards. "And these are supposedly the gentle chimps. "The bottom line is once they get older and more aggressive, they're deadly." When Sekyer left Iraqi Kurdistan three years ago, he had made up his mind. Over the next three years, Sekyer resumed life in Canada, teaching social studies in Sherwood Park and welcoming a little baby boy of his own into the world. Despite many roadblocks, Sekyer never stopped working to free Manno. As he made contact with countless people and organizations, that possibility increasingly became a reality. When pioneering primatologist Jane Goodall spoke at an event in Edmonton, Sekyer joined the long line waiting to meet her. He used their brief interaction to share Manno's story and "she kind of lit up," said Sekyer. 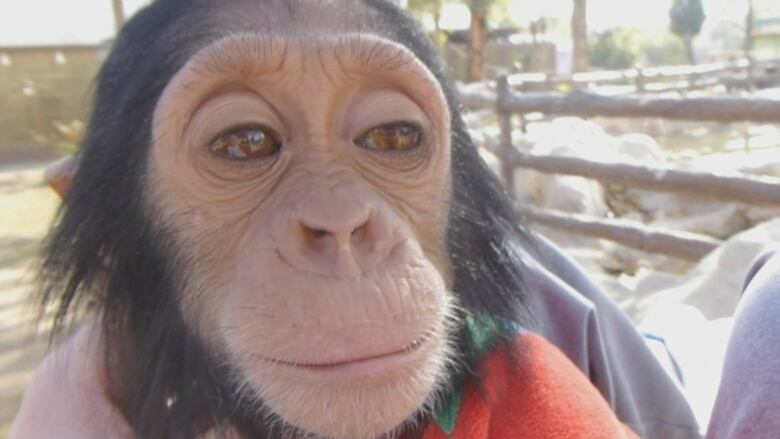 The meeting eventually secured a new home for Manno at the Sweetwaters Chimpanzee Sanctuary in Nanyuki, Kenya. Sekyer also teamed up with Jason Mier, executive director of Animals Lebanon, who dove into the many tasks required for the transfer. Mier negotiated with government and zoo officials, acquired permits and visas, ensured medical requirements were met and found suitable flights; efforts slowed even further as the threat of the Islamic State of Iraq and Syria demanded more and more attention from officials. But it was contact with author and activist Cheryl Benard that ultimately secured Manno's release. She brought the ape's plight to the attention of Kurdish Prime Minister Nechirvan Barzani. "He said it's done," said Sekyer. "He said Manno will be freed." It won't be Sekyer's first animal rescue from a conflict zone. While teaching in Afghanistan in 2012, Sekyer cared for a street dog and her puppies. After he returned to Canada, he and his wife raised tens of thousands of dollars and eventually flew the dogs to Calgary, where families were waiting to give them homes. Despite securing Manno's freedom, the actual release is a complicated operation, with many hurdles to cross before the chimp is put safely on a plane to Nairobi. "Even in the best of circumstances, something can go wrong — a flat tire, a driver not showing up, one document not being dated or stamped," Mier told CBC News. Although Mier has rescued many animals, he still conducts a "dress rehearsal" to go over everything within their control. "At the same time, ISIS and the fighting in Mosul certainly does not make this easier," he said, noting the road from Erbil to Duhok goes past Mosul. "We have tried to minimize the number of people who know about our movement. There is not much we can do about it, so just need to accept it and focus on our task." If this week's mission is successful, it is only the beginning for Manno. He will still have to endure 24 hours in a crate in transit, undergo weeks of quarantine and then reintegrate into the chimp community. "It might not go well," said Sekyer, who wonders if Manno will remember him when they reunite. "But if he stays where he is. it's guaranteed not to go well. At least this way we're giving him a chance."